When I get out of town visitors, I get the same question nearly every time: “I should rent a car, right? 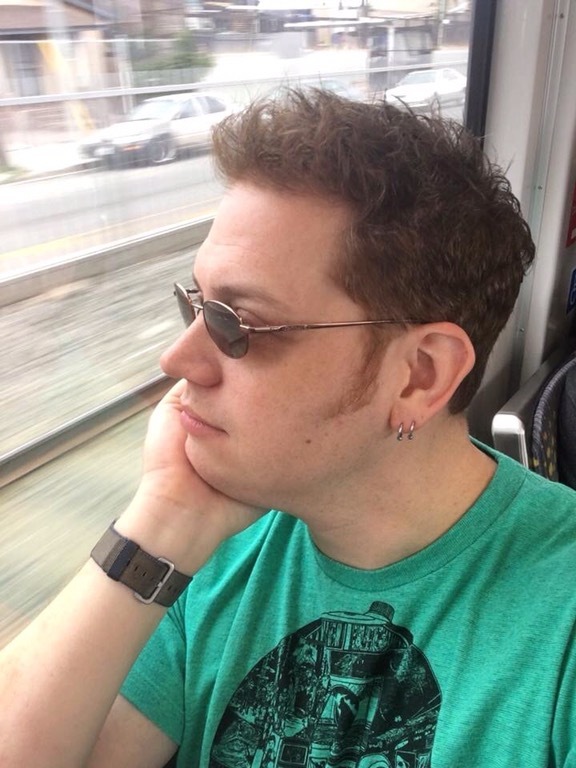 I hear there isn’t good public transportation in Los Angeles.” I get excited for the opportunity to explain that yes, LA does have decent public transportation and despite it’s shortcomings, it’s only getting better. When my high school friend, Danny, told me he would be visiting, he was already planning to do his trip without a car. He would be staying in Long Beach and just a few blocks from a blue line station. Perfect! Danny and I met up on one of the final days of his trip. I offered to meet him at the 7th Street/Metro Center station to help navigate his transfer to catch the purple line to Koreatown. By this time, he was already a pro at LA’s rail system and said he’d meet me at the Wilshire/Normandie station instead. In fact, Danny figured out the subway so well that he was able to instruct a group of tourists how to get to Hollywood after they took the purple line by accident. He had already taken Metro from Long Beach to Canoga Park with several stops in between. When I asked Danny what he wanted to do, he gave me the perfect answer: “Show me your world! Let’s eat somewhere you like to eat. If there’s a place I gotta see, let’s see it.” So I did just that. I gave Danny the nickel tour of Wilshire Blvd and told him about many of the neighborhood’s historic gems—the (now gone) Ambassador Hotel, the Gaylord, the Brown Derby. And then I decided to head towards Union Station to show him my favorite parts of the city. 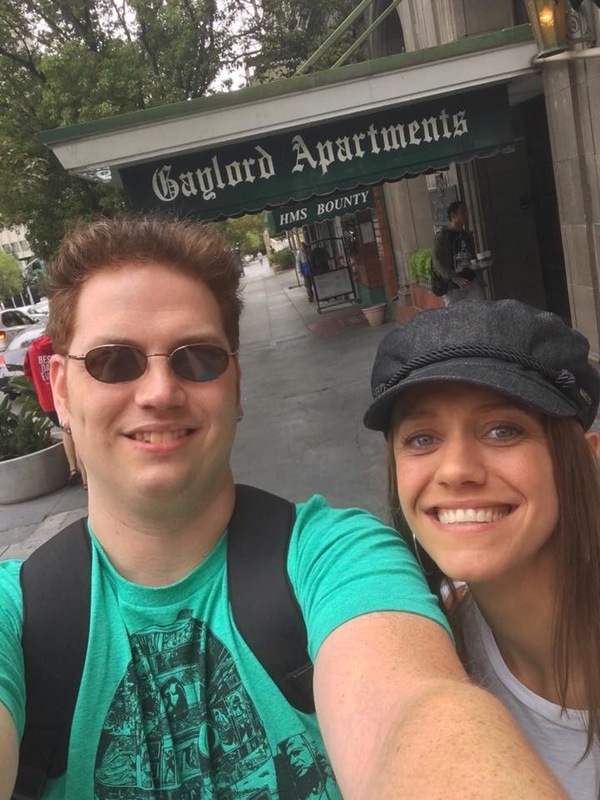 A visit down historic Wilshire Blvd would be incomplete without a selfie at the Gaylord! I was so happy that Danny appreciated the beauty of Union Station as much as I do. We took our time walking through the station while we observed the tile mosaic and the old ticketing room. He even noticed how the marble floors had worn down from over 90 years of foot traffic. 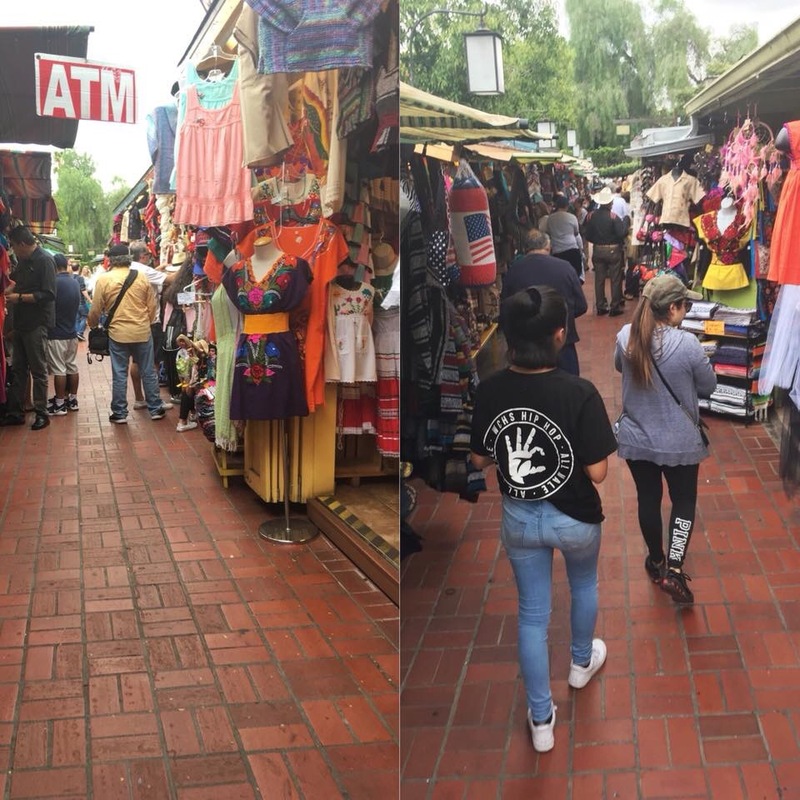 Our next stop for the day was Olvera Street. It’s one of my favorite places in Los Angeles and one of my must-show places to visitors. It’s the perfect mix of LA history and culture while being inviting to locals and tourists alike. We enjoyed watching Aztec dancers and listening to the mariachi as we dined on mole enchiladas at El Paseo Inn. 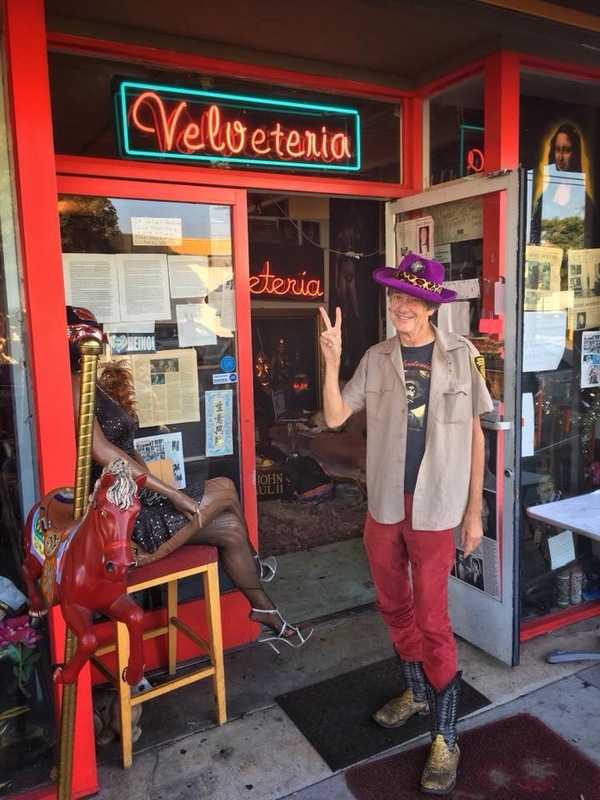 After dinner, I had an ace up my sleeve for the ultimate kitschy and unique experience in Los Angeles—the Velveteria. For years I’ve wanted to see this museum which is devoted to velvet paintings and I was excited to check it out with Danny. We took a stroll to Chinatown to see what it was all about. Carl Baldwin, the owner and curator of the Velveteria, was just as much of a work of art as the paintings that hung in his gallery. The $10 price of admission was worth it for the conversation with Carl on its own. Dressed in combat boots and a purple and leopard-print hat, he shared with us the origins of velvet paintings and how he acquired much of his collection. 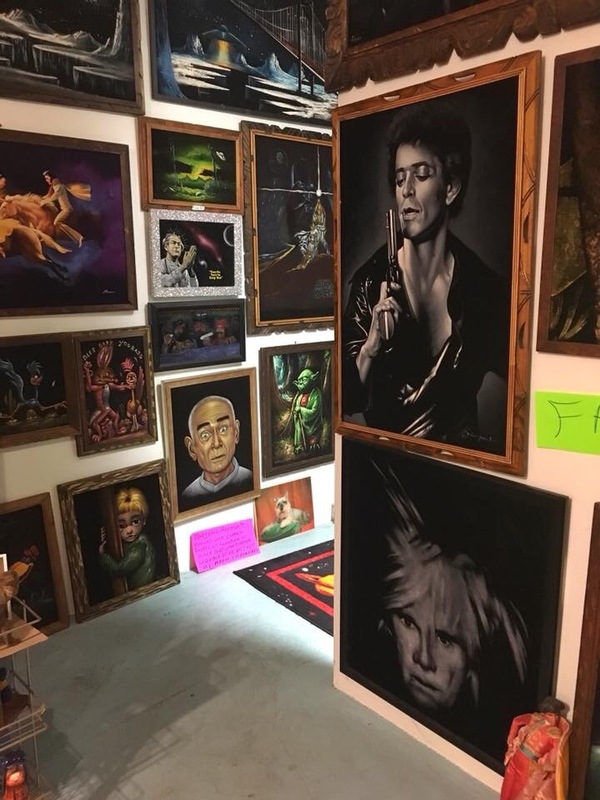 One room was even devoted entirely to black light velvet paintings. As the sun began to set over Los Angeles, it became time for Danny to head back to Long Beach. I was so happy I was able to see my old friend again. His visit was even more special because I was able to show him my version of Los Angeles, from the historic to the kitschy and to the endless possibilities of seeing it all without being trapped in a car. Thanks for the suggestions! I love Mariachi Plaza. I’ve never been to La Mercadito.